Brands taking a stance is a trend that’s quietly been finding its feet for a while now. From climate crisis to equal rights, 2016 saw several brand behemoths come out on controversial issues. Now - more than ever - is the time for brands to find their political voice. This year’s Super Bowl was the most political ever. 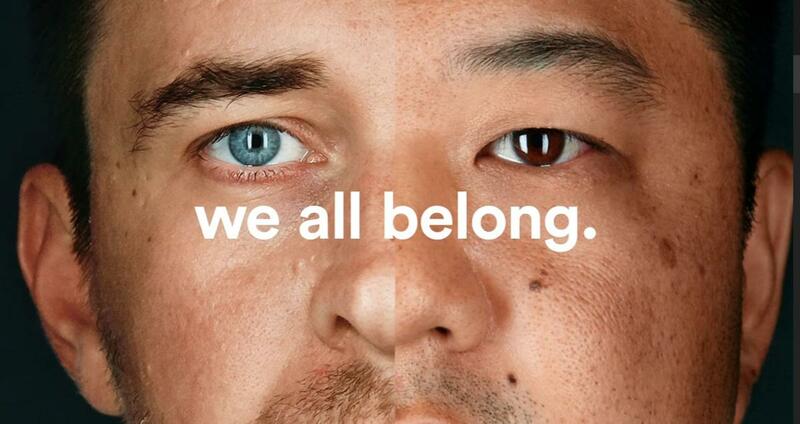 We saw Budweiser celebrate immigrants, Coca-Cola replay an ad hailing diversity and Airbnb say it’s on everyone’s side. But gong for the most talked about spot came from the lesser-known 84 Lumber. Its offering, "The Journey", was a not-so-subtle nod to Trump’s ‘big beautiful wall’ that sees a mother and daughter migrate from Mexico only to find a huge wall. With a Super Bowl spot costing $5-million for 30-seconds, these brands are definitely putting their money where their mouth is. And in the current frenzied political climate, who can blame them? But it would be naïve dismiss the year’s politically-charged Super Bowl as a one-off knee-jerk reaction to Trumpism. Brands taking a stance is a trend that’s quietly been finding its feet for a while now. From climate crisis to equal rights, 2016 saw several brand behemoths come out on controversial issues. Lush caused a stir by selling soap to raise money for refugees. A number of A-lister brands, from Apple to Uber, came out against North Carolina’s transgender discrimination. And when Trump started signing those executive orders quicker than you can say “#MuslimBan”, it felt like brands such as Nike, Starbucks and Kickstarter had really begun to find their political voice. Some brands have even gone beyond paying lip service by taking tangible action. It’s partly thanks to Amazon, Expedia and Microsoft’s involvement in a lawsuit that Judge James Robart overturned Trump’s ‘travel ban’. For these brands, as employers of many talented immigrants, their stance was largely practical. But what about the others? The ones that weren’t frightened to use advertising’s most high-profile and expensive platform to convey their point-of-view. What’s in it for them? These brands must’ve been utterly convinced of the commercial and ethical effectiveness of taking a stand if they were prepared to blow $5-million for the privilege. And the evidence backs them up. In November 2016, JWT research claimed consumers are getting more political and expecting brands to take sides. It’s a sentiment that was echoed by Edelman’s January release of the annual Trust Barometer, which recommended brands play a more positive role in society to help assuage the global trust crisis. With the digital revolution came mass transparency. Social media has left businesses with nowhere to hide, and people are now more interested in how a brand acts and thinks. Which is why the marketing industry is finally getting its head around ‘purpose’. For those of us who’ve recognised the moral and business importance of purpose for some time already, getting brands to take a stand on controversial issues is the next step in developing positive societal roles. Of course, not every person will sympathise with the views aired during the Super Bowl. For every brand that stands up for LGBT rights, there’s a bakery refusing to make a ‘gay cake’. So it might be tempting for more ‘vanilla’ sectors – like FMCG, say – to play safe by sitting on the fence. But it is, ironically, the ultimate global giant of FMCG – Unilever – that has led the way in the politicisation of brands. As everyone knows, Unilever is now synonymous with sustainability. What better way to voice an opinion on the state of the environment than by taking positive action to rectify it? The big fear around coming out on political issues is that a brand might alienate part of its customer base. But now that we are living in such highly polarised times, the old orthodoxy of keeping schtum simply doesn’t work any more. If you don’t stand up for something meaningful, you won’t stand for anything at all and will rapidly become an irrelevance. Or, as Aaron Sherinian, CMO at United Nations Foundation, points out: "Silence on social issues could be the kiss of death for brands. Especially the way that young customers are engaging them right now. They’re going to vote at the cash register." Profitability, however, is only part of the story. In these days of mass division, there’s clearly a convincing commercial argument to ‘come out’ because, as aptly demonstrated by 84 Lumber, it helps a brand drive conversations and stand out from competitors. But if the commercial argument is not enough to persuade brands to stand up for what they believe in, then the moral imperative should be. At a time of great global upheaval, brands now more than ever have a duty to respect and protect their customers by seeing them not as mere consumers, but as citizens; citizens that can be helped to use their buying power to protect the world against environmental and political recklessness. When environmental authority is being handed to oil executives and climate change deniers, it’s vital that brands use their newfound political influence to speak out.